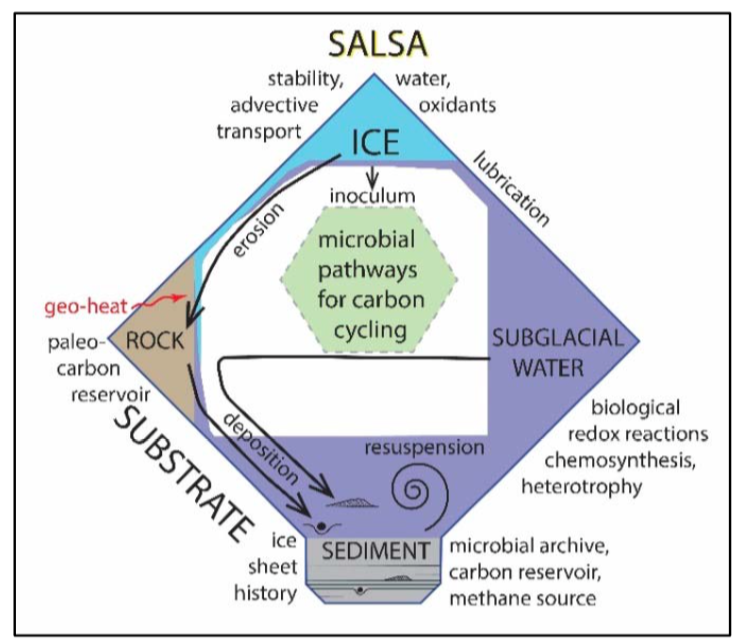 Contemporary biodiversity and carbon cycling in hydrologically-active subglacial environments associated with the Mercer and Whillans ice streams are regulated by the mineralization and cycling of relict marine organic matter and through interactions among ice, rock, water and sediments. Mercer Subglacial Lakeis a relatively permanent feature (on decadal to centennial scales), but exhibits large temporal and spatial variability on shorter (sub-decadal) time scales. Both the “permanent” and “variable” aspects of these features have implications for ice-sheet stability, including controlling the position of the grounding line and influencing the regional ice flow speed of the Whillans and Mercer ice streams. 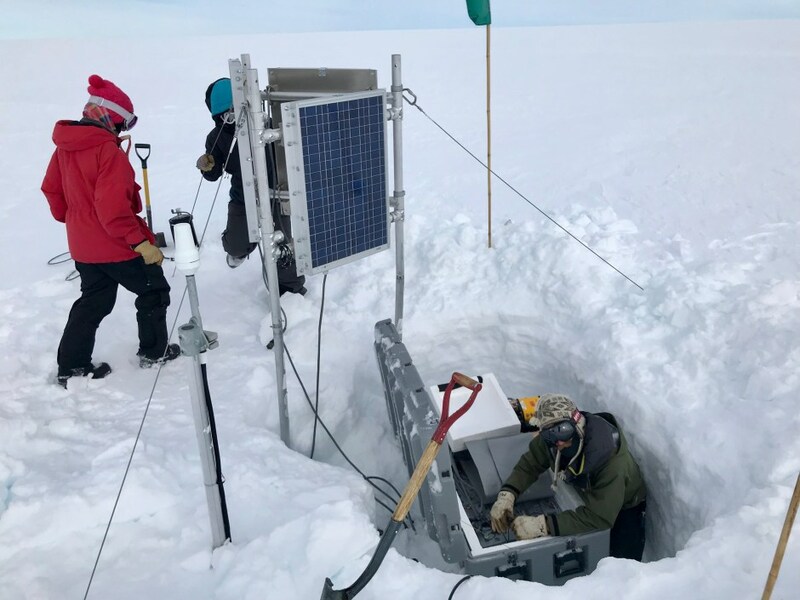 Sedimentary organic carbon beneath the WIP is a relict of past marine incursions and can provide information on grounding line oscillations in this region of Antarctica. Relict organic matter in the sediments is a source of CH4 resulting from methanogenesis in deeper anoxic sediments. Age spectra of this sedimentary carbon will yield old ages in less reactive fractions of the total carbon. Reduced compounds (e.g., CH4, H2, NH4+, NO2-, Fe2+, H2S) derived from the decomposition of relict marine sedimentary organic matter and mineral weathering provide the substrates for chemosynthesis, which, in addition to relict marine organic matter, provides additional energy and carbon for heterotrophic processes in Mercer Subglacial Lake . Basal ice debris is rich in organic carbon and nutrients derived from relict marine organic matter. This debris can be transported to the grounding zone and contribute to modern coastal ecosystem productivity.